Our passion for dental health was brought into conception in 1936 and has grown in its current location since 1973. Together, the dentists have amassed a total of 80 years of practice experience. Dental health is a very important part of overall health and therefore, we orient our care to your total well-being. In the following pages, you will learn about us, our team and philosophy, so we invite you to explore them and hope to see you soon. Contact us today! Please browse through our website and be sure to give us a call if you have any questions or would like to schedule an appointment. Hilo Dentists at Takata Dental are dedicated to cosmetic dentistry such as Dental Implants, Porcelain Veneers, Invisalign and more. 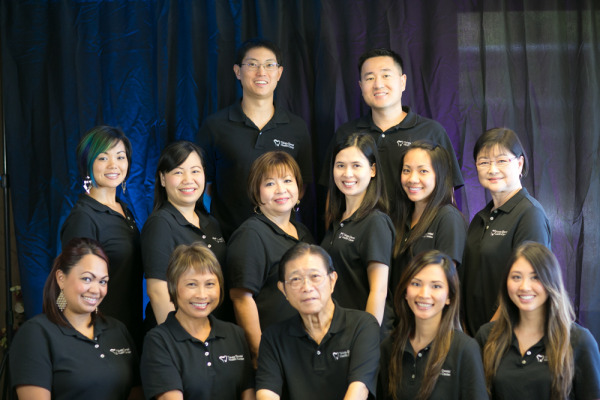 We are looking forward to your visit to our Hilo, Hawaii dental office.